Manufactured with eco-friendly High Density Polyethylene(HDPE) which is a recycled plastic that will never rust, rot, crack, splinter or require any painting, and it contains an added UV protective agent to resist fading. 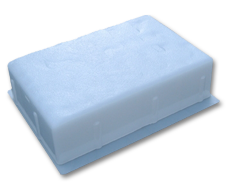 It is not affected by most corrosive substances and will not promote bacterial growth. All of our lights are assembled with stainless steel hardware for durability and longevity. 4x8 Paver Lights from Kerr Lighting are available for purchase as individual lights or in 8-light kits or 14-light kits. 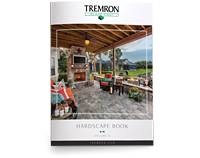 Use our easy to install 4x8 light kits to accent your driveway, walkway or patio areas. All light kits are low voltage and designed for all weather use. 4x8 Paver Lights are sold as individual lights or in kits containing either 8 or 14 lights. Each kit contains the paver lights, a 100 watt transformer, low voltage cable and all weather connectors. 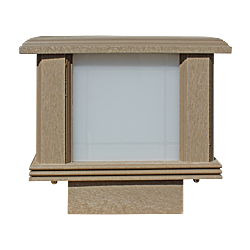 6x9 Paver Lights from Kerr Lighting are available for purchase as individual lights or in a 6-light kit. 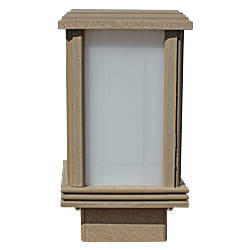 Use our easy to install 6x9 light kits to accent your driveway, walkway or patio areas. All light kits are low voltage and designed for all weather use. 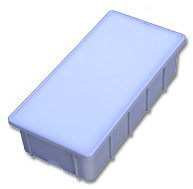 6x9 Paver Lights are sold as individual lights or in a kit containing 6 lights. 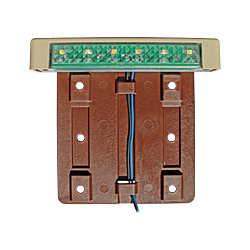 Each kit contains the paver lights, a 100 watt transformer, low voltage cable and all weather connectors.